One of the most wanted hair styles of the season is Khloe Kardashian’s blonde, beachy waves that have become her signature look. But how did she get that natural yet distinct coloring scheme? Balayage. Balayage is a hair painting technique. The word itself is French and means “to paint” or “to sweep.” The process involves sweeping a special hair brush from the roots to the tips in one single, light-handed motion. 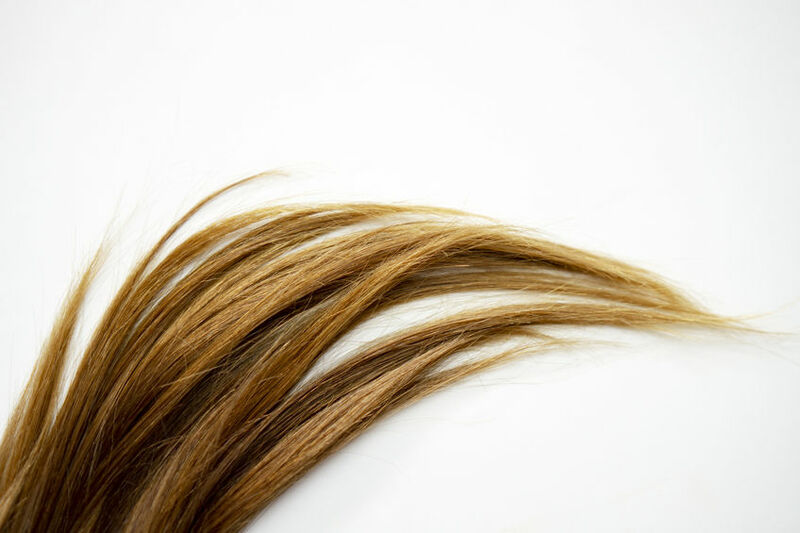 The tips typically get more saturated by the hair color than the scalp, and the technique itself can be used with any color scheme – not just Khloe’s luscious blonde. Khloe’s hair was done gradually to maintain the health of her hair. She is (as you all know) a natural dark brunette, so going blonde took several sittings where the hair was gradually lightened. Many brunettes who want to go blonde want immediate results, but dark hair just does NOT stay healthy if decolorized that long. Instead, you want to go about two shades lighter each time until you reach the desired results. When the base of her hair was the right shade her stylist then used the balayage hair painting technique to achieve the highlights and dimensions that makes her hair really pop. As for the beachy waves, that has to do with a combination of cut and daily upkeep. The waves require quite a bit of upkeep but are well worth it if you have the time! If you like the general idea of Khloe’s balayage hair color but don’t want to rock the blonde look there are plenty of other style ideas drawing inspiration from the look. Below we’ve listed just a few. Caramel Latte: This look is perfect for brunettes who want to add a little dimension to their hair. It starts with a medium to deep brown base and is accented with a light brown highlighting between three and six shades lighter. Candy Apple: Candy apple starts with a light to medium caramel brown and is highlighted lightly with a vibrant red. For an even bolder look you could switch the colors, so the base is a vibrant apple red with caramel colored highlights. Mermaid Waves: If you’re really feeling adventurous you could rock some mermaid waves. The base color is a pale green just slightly tinted with hints of blue. The highlighting is a vivid aqua reminiscent of beach waves at sunrise. Autumn Leaves: Another great look for brunettes that don’t want to totally do away with their beautiful brown locks, autumn leaves can be based on any brunette spectrum. A deep copper red highlights the brown. Cotton Candy: Another one for the bold, cotton candy is a combination of pale pink and baby blue. The colors can be used interchangeably for base or highlights. Silver Bullet: Mysterious streaks of silvery gray highlight dark midnight black hair for an edgy, sultry look.